Are you concerned about the high cost of turnover? Does high turnover cause extra wear and tear on support departments, managers, HR, training teams and they’re peers? What about the impact to the organization, particularly in high touch customer service rolls like call centers or sales positions? Does the issue of employee disengagement and non-performance create negative morale challenge? How much would your company save if you had a proven process that would provide a retention rate of over 90%? There is a clear connection between engagement, performance and profit. Duplicate your star performers with TurnKey’s coaching programs for high potentials, available country-wide: Philadelphia, Houston (Tx), Dallas (Tx), Seattle(), Tampa (Fl), Los Angeles (Ca), Chicago (Il). See the full list of cities covered by our coaching programs for next generation leaders. It is imperative to drive performance results at all levels of the organization in order to seize market position and steer growth. Recruiting talented candidates is not enough; it’s crucial that people are assigned to the specific roles where their talents will have the greatest impact on achieving company goals, and where they are most likely to remain onboard fully engaged. Job Benchmarking and Matching is the science of carefully defining superior performance in each position and using objective criteria to determine who is hired. The process goes deeper than conventional employment methods to create the most comprehensive definition possible of why a job exists. It’s the science and the art of carefully matching the right person to the job that’s ideally suited for them. The TriMetrix® System is a proven EEOC Compliant process that will help your business benchmark the job, assess the talent needed, and match applicants in a three-step process that lets the job set the hiring tempo. How to get the right people on the bus. “People are not your most important asset – the RIGHT people are your most important assets.” – Jim Collins, From Good to Great. Employee disengagement is one of the challenges facing hiring managers when it comes to the retention of staff. In fact, a Gallup study has shown that as many as 70% of the workforce is disengaged. • Mismanagement: Research carried out by Target Training International showed that over 95% of all people stated that they have been mismanaged. As a result, they will attribute their below par performance at certain periods during their employment as having stemmed from this mismanagement. Eventually, those interviewed gave their reasons for leaving the company as being because of one reason: mismanagement. • Team or Department Conflicts: These conflicts may be avoided completely, or significantly improved once the talents of each individual involved is recognized and understood. On-boarding a new employee process starts by using the assessments from the job benchmarking process in a one-to-one individual coaching session with the new hire and the hiring manager. Then we conduct a triad session with the hiring manager and new hire. During these sessions we cover things like how to communicate, how to best manage and set appropriate expectations. Information from the Job Benchmark creates a seamless approach for the hiring manager and new hire. By accurately measuring talent and thereby understanding each individual’s talent, you will be able to tackle the challenges that hinder successful retention in your company. At Turnkey Coaching and Development Solutions, we have the tools, process and expertise necessary to accurately measure all of these areas for each candidate, employee, and the requirements of these for the job itself. The TTI TriMetrix® System Benchmarking Process is based on a unique analysis that examines the Behaviors individuals bring to the job, the Motivators that drive them, and their Personal Skills mastery required by the job. It reveals specific details in three areas that describe the how, why and what of superior performance. As a job benchmarking tool, these three areas define the requirements of each job, providing a complete system to compare talent to the position and achieve the optimum job fit. The comprehensive design of the TriMetrix ® process ensures that you hire, develop and retain the best possible talent. Knowledge is the biggest modifier of behavior. With the behavioral results assessment, individuals can learn to understand, appreciate and adapt their behavioral style. Behavior is measured in four dimensions; dominance, influence, steadiness and compliance. 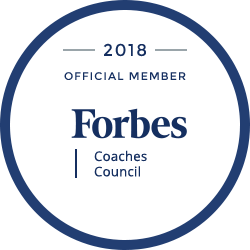 The results will enhance the hiring process by revealing how an individual will perform and empower individuals to communicate effectively through behavioral coaching. As a window through which we view the world, our motivators are the drivers of our behavior, or what motivates our actions. Motivators are measured in six areas: theoretical, utilitarian, aesthetic, social, individualistic and traditional. With the knowledge of what motivates, you can encourage employees in a way that satisfies their inner drive right from the start. The results will benefit both hiring and coaching initiatives by revealing why an individual acts the way they do, or what motivates their behavior. Through TTI’s Personal Soft Skills Inventory (PSSI), the Talent Report describes what an individual “has done” in 23 research based capacities, or personal skills, that are directly related to the business environment. Through the self-evaluation assessment of an individual’s own soft skills, this quantitative measurement tool analyzes each capacity on four levels: high mastery, mastery, some mastery and no mastery. The assessment results define what skills an individual has exhibited in their whole life experience by ranking the individual on a 10 point scale that reveals their biggest strengths on the job. The top skills outlined in the report highlight individuals’ well developed capabilities and reveal the areas where they are most effective. When used as a benchmarking tool, this component helps ensure the inherent skills of each individual match the soft skills required by the job.